Tension headache is the most common type of primary headache. The pain can radiate from the neck, back, eyes, or other muscle groups in the body. Tension headache is the most common type of primary headache. The pain can radiate from the neck, back, eyes, or other muscle groups in the body. Tension-type headaches account for nearly 90% of all headaches. Approximately 3% of the population has chronic tension-type headaches. Tension-type headache pain is often described as a constant pressure, as if the head were being squeezed in a vise. The pain is frequently bilateral which means it is present on both sides of the head at once. 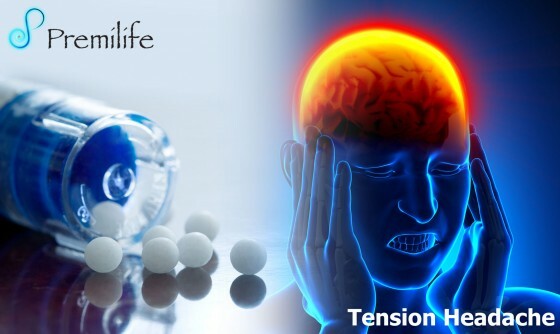 Tension-type headache pain is typically mild to moderate, but may be severe. Tension headaches may be caused by muscle tension around the head and neck. One of the theories says that the main cause for tension type headaches and migraine is teeth clenching which causes a chronic contraction of the temporalis muscle. Another theory is that the pain may be caused by a malfunctioning pain filter which is located in the brain stem. The view is that the brain misinterprets information, for example from the temporal muscle or other muscles, and interprets this signal as pain. One of the main neurotransmitters which is probably involved is serotonin.